A guest post by Bill Jacobs and Kathleen Hoenke of the Saint Kateri Conservation Center urges Catholics in California and elsewhere to encourage butterfly habitat at home. The following is a guest post from Bill Jacobs and Kathleen Hoenke of the Saint Kateri Conservation Center, a group for which I serve on the Board of Directors. I asked Bill and Kathleen to pen this piece given recent news on the peril faced by the western monarch butterfly, and the response that we can Catholics can have to help. “Extinction seems likely as monarch butterflies die at ‘catastrophic’ rate,” reads the recent Facebook headline from SFGATE.com, the website of a San Francisco newspaper. The paper cites research by the Xerces Society showing that the number of western monarch butterflies wintering in California has declined by more than eighty-six percent since 2017. In 1981, the Xerces Society counted more than one million wintering monarchs in California. In 2018, volunteers counted only 30,000. Scientists from Cornell University blame the declines in monarch populations on sparse autumnal nectar sources (e.g., goldenrods), weather, drought, misuse of insecticides, and habitat loss. Other potential stressors include fire and smoke along the migration path and in wintering areas, climate change, loss of roosting trees, and loss of milkweed plants. Milkweeds are the only host plant on which monarchs can lay their eggs. But monarchs are not alone in their decline. Other butterfly and migratory species, including birds, also are declining. While monarchs struggle to survive, the Catholic population in California is growing. There are approximately ten million Catholic adults living in California, according to the Pew Research Center. Which means that there are approximately 333 Catholics for every one wintering monarch butterfly in California. In response to growing threats to ourselves and nature, a group of Catholic volunteers and faithful friends has banded together to develop a Catholic online nature center and land trust: the Saint Kateri Conservation Center. 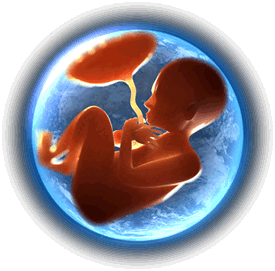 Catholics understand that we can come to know God through his creation, by the physical world and the human person. “The world: starting from movement, becoming, contingency, and the world's order and beauty, one can come to a knowledge of God as the origin and the end of the universe” (CCC 32). As with each of God’s creatures, from the soil, the water, and the air, to the varied species of wildlife, monarch butterflies respond to us, "See, we are beautiful." “Their beauty is a profession.” What will happen if we lose monarch butterflies? What will happen if we lose other species and ecosystems? Will our children eventually lose sight of God? Across the United States, there are more than seventy million registered Catholics. In addition, the Catholic Church is one of the largest private landowners on Earth. We have our faith, liturgy, sacraments, saints, Scripture, and Tradition. We have the natural sciences, and most importantly, we have our people. In all, with God’s grace, millions of Catholics have more than enough “talent and treasure” to make a great difference in the conservation of monarch butterflies and all of nature, of which we are an integral part. What we may lack, though, is time. In response to growing threats to ourselves and nature, a group of Catholic volunteers and faithful friends has banded together to develop a Catholic online nature center and land trust: the Saint Kateri Conservation Center. Founded in 2000 and incorporated as a 501(c)(3) non-profit in 2012, the Center’s mission is to promote Catholic ecology, conservation, and life. The Center is named in honor of Saint Kateri Tekakwitha, patroness of Indigenous Peoples, ecology, and the environment. Saint Kateri and the Native Peoples had (and have) extensive knowledge of natural habitats, acquired over thousands of years through direct contact with nature. The Center’s main volunteers, Bill Jacobs, founder and senior ecologist, and Kathleen Hoenke, spatial ecologist, together with our amazing board of directors and partners, are preparing to launch a new program this year: the Saint Kateri Habitat Program. The program will inspire and support Catholics to restore backyards, gardens, farms, parks, forests, meadows, rivers, and wetlands to healthy habitats for people and wildlife. This, of course, includes habitats for monarch butterflies and other migratory species. Catholics are encouraged to plant milkweeds, goldenrods, trees, and other native plants to support people and wildlife. As a part of the program, participants can register their Saint Kateri Habitat, be featured on the Saint Kateri online Esri Story Map, and have the option to purchase a yard sign to identify their habitat. Sacred spaces for worship, prayer, and contemplation, including Mary gardens, prayer gardens, and rosary gardens. Moreover, designated habitats must have some religious expression, such as crosses, wayside shrines, grottos, stations of the cross, or statues of Mary or Catholic saints (e.g., St. Kateri, St. Francis of Assisi). With a special focus on Catholic faith and social teaching, the Saint Kateri Habitat Program supports living, sacred spaces for Catholics to engage personally in the care of creation, at home and throughout our parish communities. By restoring habitats with reverence for our Creator, the program draws people closer to God and his Church, while protecting the integrity of creation. The Center has a new website in the works to support the habitat program and other initiatives. Like our current website, the new website will include one of the largest online libraries of Catholic ecology teachings in the world. Working as volunteers on a shoestring budget, our work is challenging but rewarding. We hope you can join us to help conserve habitats for monarch butterflies and the greater biodiversity, to limit climate change, and to restore our relationships with God, each other, and all of nature. You can find us on Facebook,Twitter, and Instagram. Our email is saintkatericenter@gmail.com. 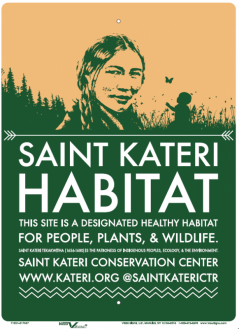 You may use this link for this Google form to apply for Saint Kateri Habitat designation. Most importantly, we ask for your prayers, and that Saint Kateri pray for us, and for the monarchs.